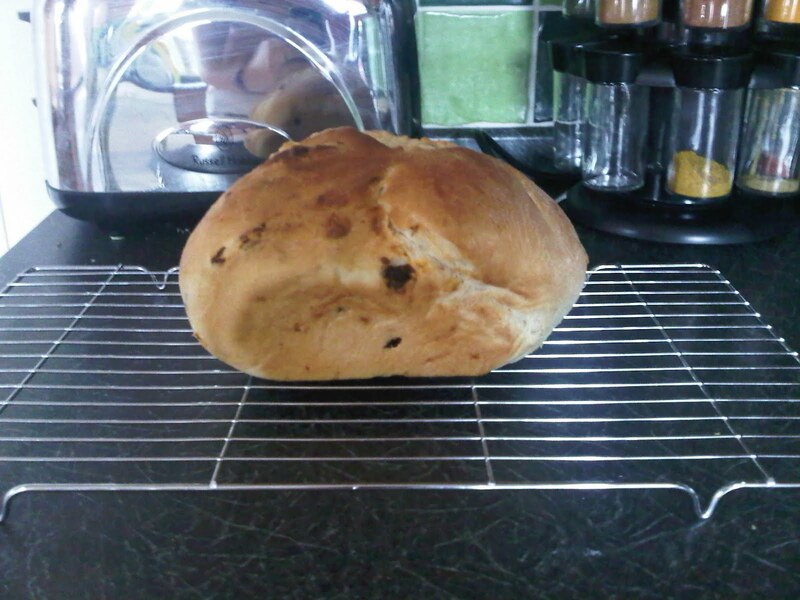 One of my favourite things to bake is bread. 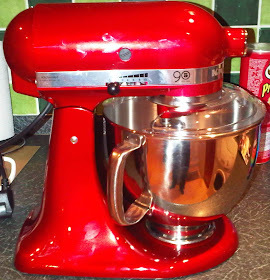 I even used to enjoy the exhausting task of kneading before I bought my mixer. 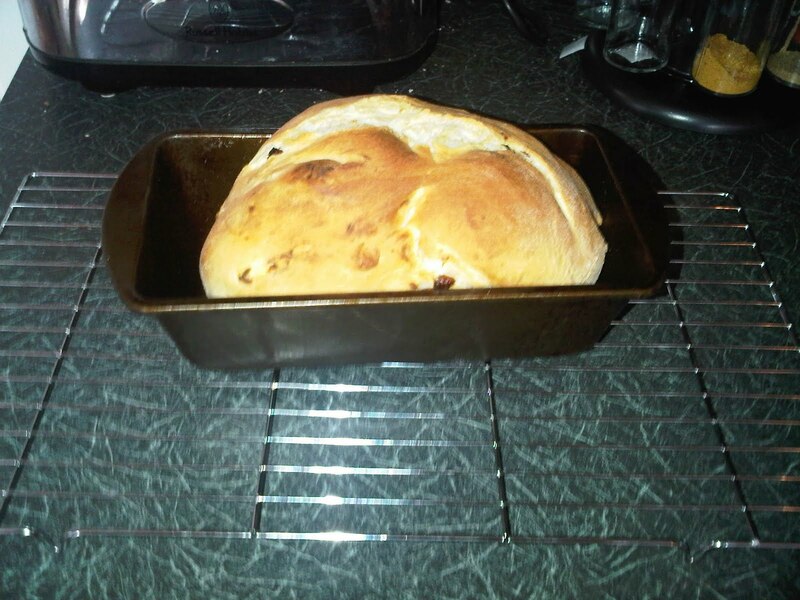 When my parents joined up with Slimming World and my brother moved out for university, baking bread became pointless as I was the only one who ate it. 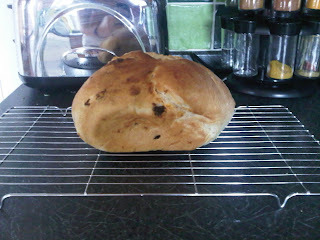 So, as sad as it may seem, I was overjoyed when my mum suggested I made some bread! 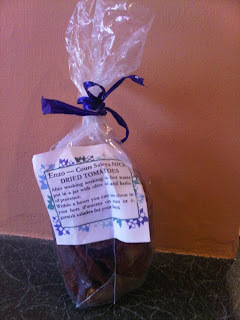 As my parents had brought a bag of sun dried tomatoes home with them from Nice, and I had a recipe for something similar in one of my books, this seemed a natural decision. 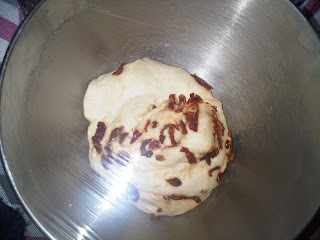 Unfortunately, I hate sun dried tomatoes and, despite waiting forever to be able to bake bread, everyone but me got to eat it! Apologies to those who have noticed that these pictures were not taken in my kitchen, it was a freezing cold day in Newcastle and somebody had left the back door open which made the kitchen almost arctic like and most certainly not 'room temperature'. As you can see, my living room provided a perfect breeding ground for the yeast! The original recipe for this was from The Great British Book of Baking (surprise, surprise) and was for individual Thyme and Sun dried Tomato Rolls. I had no thyme, however, and I feel loaves are always best as there's more to share around! 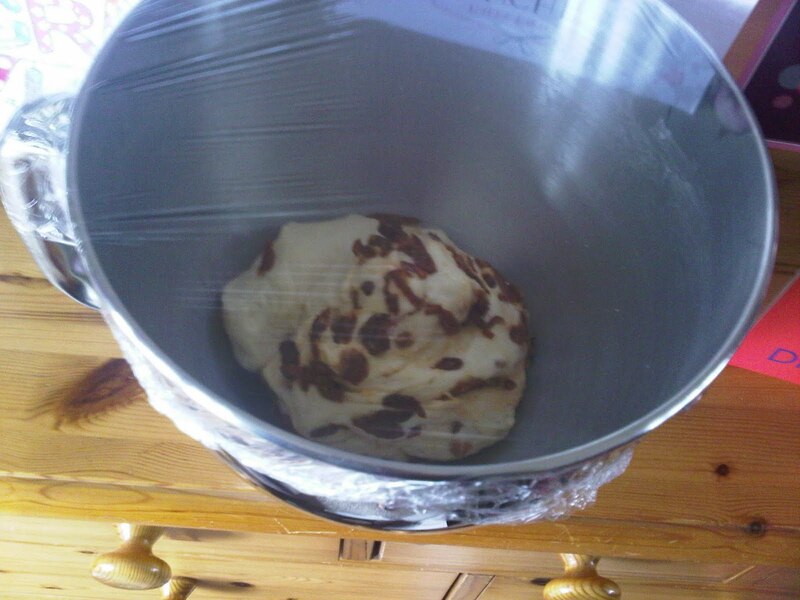 As a result, this loaf was very small but it cooked in the same time as the rolls would have done. I've tasted the bits without tomatoes and it's very nice!! I tried and really couldn't get away with them, they're so slimy!